When we last left our characters they were on the run from a bar incident that was insane. Our second issue starts off somewhat confusing. Apparently, there is a cop that goes by the name “Robbin’ Hood” and he has a bit of a rep. He simply invades a home (well a drug house) and kills its occupants without warning. There is some really devastating collateral damage that makes an extremely well crafted sequence seem more real. I’m just not sure how if fits into our story though. The remainder of the book consists of one other back story that will fit better at some point in the future. We also learn more about Sonny and Cheri. Their lives had intertwined in a high school past. 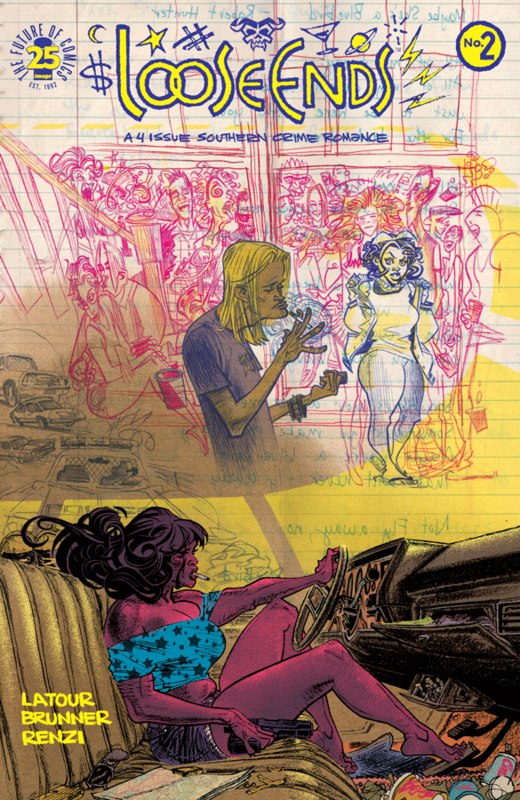 Loose Ends is a fantastic and gritty story, but our second issue only creates more questions. The answers hopefully will be a romantic crime story that is worth the ride.